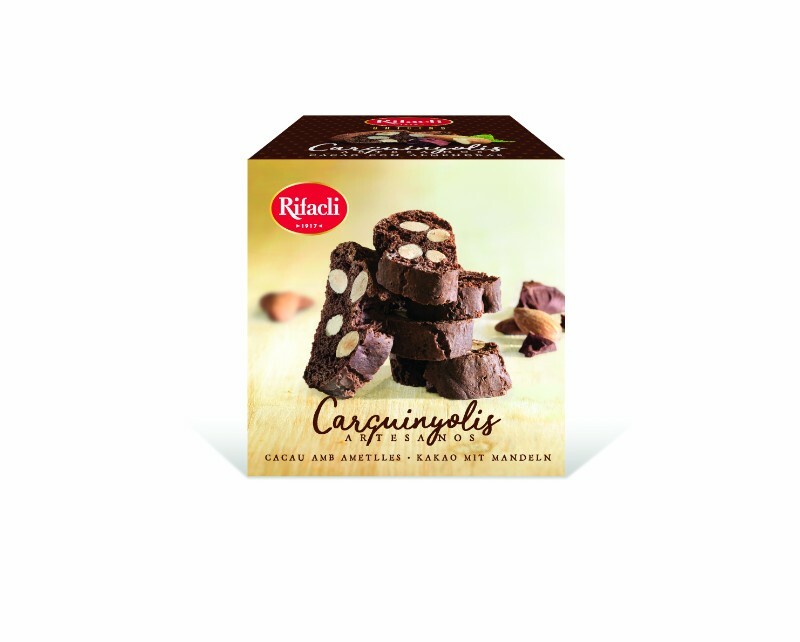 The Carquinyolis Cocoa with Almonds are one of our latest innovations. Cocoa has been added to the traditional Carquinyoli dough so you can enjoy its original recipe. Delicious with a glass of hot milk. Wheat flour, sugar, almonds (13%), cocoa powder (4%), palm vegetable oil, salt, powdered egg, E-503ii, E-500ii, vanillin and flavourings. The Carquinyolis with almonds are made by hand following our centenary recipe with our quality ingredients of always and all our illusion. 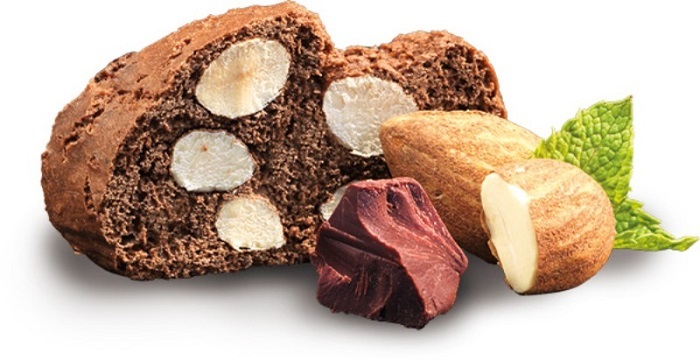 The Carquinyolis with almonds bathed in cocoa is one of our latest innovations. Delicious alone or with hot milk. We have replaced the almonds with dice of red fruits and blueberries, a source of antioxidant. Delicious with a black tea.